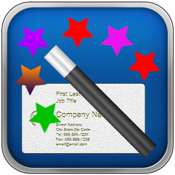 This app allows you to design, create and print your own business card and kids photo identification card with few taps. You can take your own photo and add it to the card. 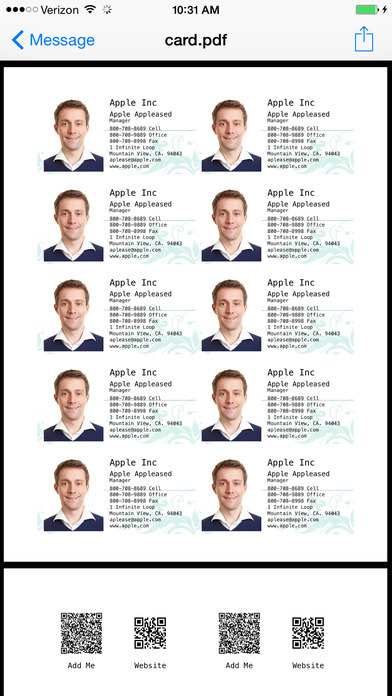 You can also add the company's logo to the card. You can also use your own background for the card. Moreover, it also creates two barcodes at the back of the business card. 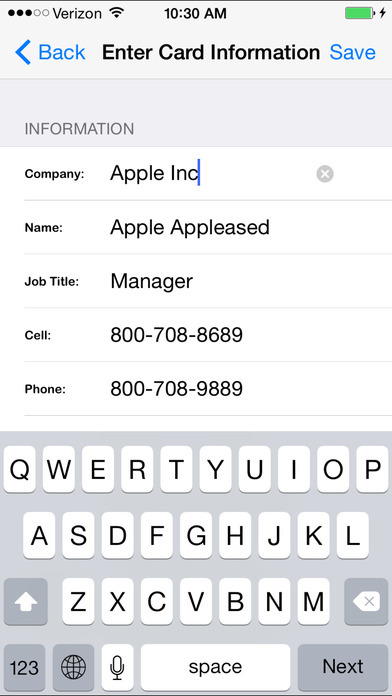 Other people can scan your business card to add you to their phone contact and also visit your website with one scan. - Create two pages PDF file for printing (One for the front, one for the back). 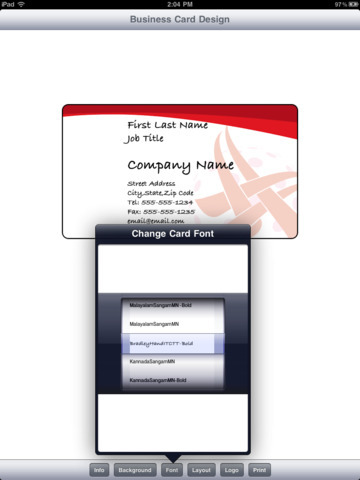 It supports standard 3.5"x2" card, 10 cards per page, support Avery 5371, 8871 Business card etc. 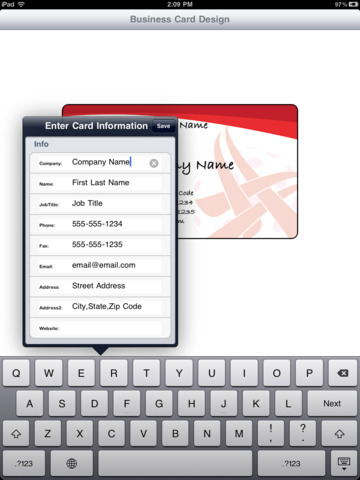 - Print Business card directly from your iPhone, iPad, iPod touch. For scanning card, see our company app QR Code Reader and Creator from the App store.